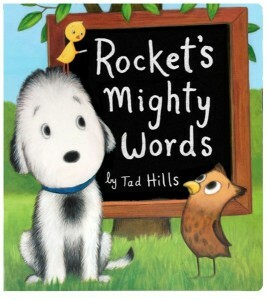 Rocket is back in a sturdy large-format board book for new readers. Preschoolers watch the little yellow bird teach Rocket simple words, like n-e-s-t and m-u-d. And beginning readers will love practicing their new literacy skills alongside another brand-new reader—Rocket! The larger size of this edition makes it perfect for sharing during story time or lap time.